Growing up in the suburbs of Detroit, I always had a bit of a love-hate relationship with the city. I loved its proud history - the City of Champions, the Paris of the Midwest, Motown - but hated what it became: the largest US city ever to declare bankruptcy. My family lived a short commute from the city, but economic factors eventually drove us into suburbia. There were just no jobs in Detroit. In 2008, when I graduated high school, I felt the impact of the collapse. Money was tight, so like many of my classmates, I chose not to move away to college in the hope of cutting costs during the recession. Living in dorms wasn’t feasible; staying at home became the new normal. Yet, living locally brought us no closer to the city, as we mainly headed to Detroit for sporting events. Looking back now, it’s such a shame we wasted our time fearful of a city filled with art, music, and culture. But with such a high crime rate, could you really blame us? One advantage of all this was the relatively cheap cost of living. Even today, I can go to the movies, fill up my Chevy Impala, and munch on some Better Made chips, all for under $40. To be fair, if you can survive the harsh winters here, you deserve to be compensated with affordable living! Economic failure, brutal winters - the Detroit spirit is built ‘Ford’ tough, which means people from this part of the world endure. Even in 2011, as we embarrassingly declared bankruptcy, we continued to rep the city - in part due to our brilliant sports teams. Naturally, in defending them, we felt inclined to defend the city as well - to beat our chests and prophesize its comeback. 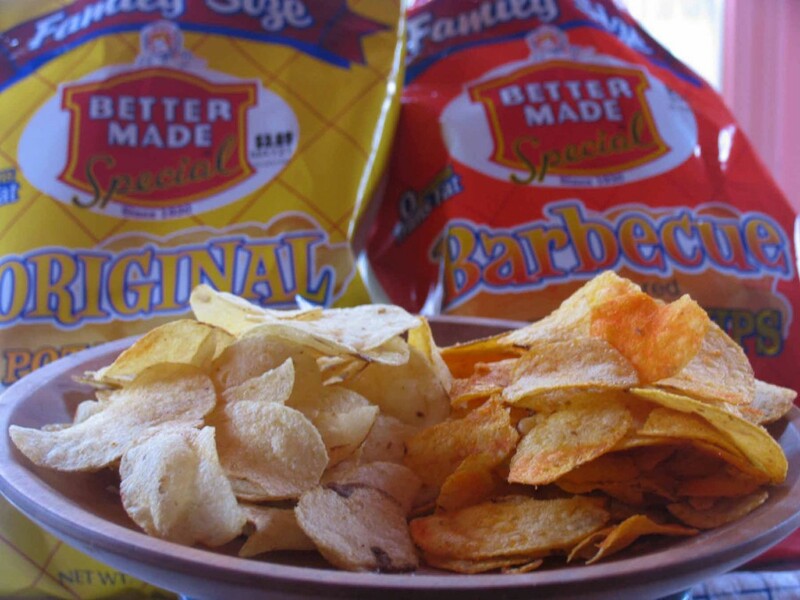 The city is home to Better Made Snack Foods and so Detroiters love their potato chips. Apparently its residents eat more potato chips per person than anywhere else in America. That's some 7lb of chips each every year. Three times the national average! Today, the resurrection of Detroit is upon us. We’re now outperforming many of the national averages in per capita income, GDP, and private sector job growth. This is mainly due to global investors pouring $2.4 billion into the city. With the job market boosted there's now ample opportunity for people to work, live, and thrive in the city. However, this doesn’t mean the job is done. When the housing market collapsed in 2008, communities around Detroit crumbled under pressure. Many streets adjacent to the city still look like scenes from The Walking Dead. Blocks of houses lie in decay, ripe for vandalism, arson and burglary. At one point, even many suburban residents felt this housing burden, trading christmas lights for foreclosure signs during the holidays. Hearing that family and neighbors were having their homes seized by banks became far too normal. But we Detroiters don't give up easily. We're constantly striving to improve our city as this video shows. Now more than ever, Detroit’s motto rings true: Speramus meliora; resurget cineribus (We hope for better things, it will arise from the ashes). Thankfully, nowadays, most of my weekends are spent making plans with friends to explore the new restaurants, cafes and shops the city has to offer. With a new and stronger economy emerging, everyone is buzzing about the future of Detroit. Yep, Motor City is revving its engine and is ready to rock once again.